On April 13, the U.S. House Small Business Committee’s Subcommittee on Economic Growth, Tax, and Capital Access will be holding two hearings on improving the tax system. The second afternoon hearing at 2:30 PM will be testimony by IRS Commissioner John Koskinen, and the tax community will be eager to see what he has to say. The first hearing at 11:00 AM shouldn’t be missed either, though, because it will focus on the proposed Mobile Workforce bill. 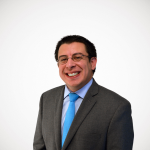 The Mobile Workforce State Income Tax Simplification Act of 2015 (H.R. 2315 / S. 386) limits states from imposing or collecting individual income tax on those who are in the state for less than 30 days. 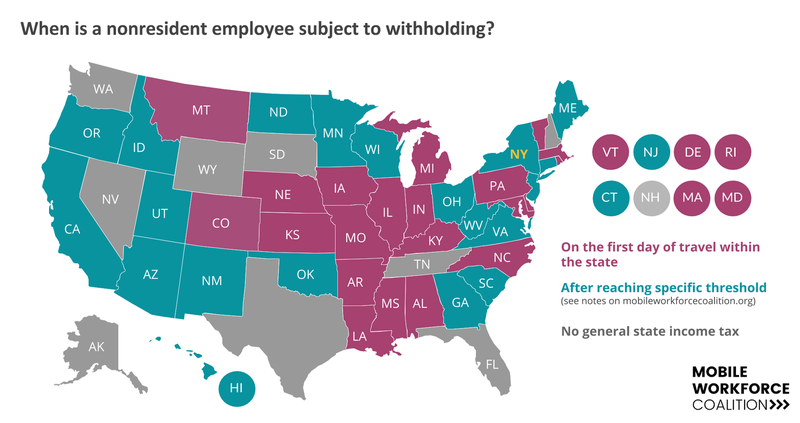 Most states technically require such payments when someone is in the state for even a day (see map), and even withholding to be set up in advance. We’re increasingly hearing horror stories of states trying to collect these sums. Since all states provide a credit for taxes paid to another state, making people fill out 20 or 30 tax returns for a net national wash is lunacy. Most everyone, except New York officials and state tax administrators, support this legislation. (State tax administrators instead urge states to voluntarily adopt a more convoluted model, which no state has.) However, the bill excludes entertainers and athletes from its protections, which it shouldn’t. Lead sponsors of Mobile Workforce are Reps. Mike Bishop (R-MI) and Hank Johnson (D-GA) on the House side and Sen. Sherrod Brown (D-OH) and John Thune (R-SD) on the Senate side.